Two Baylor College of Medicine researchers, Dr. William Decker and Dr. Cliona Rooney, have received grants from the nonprofit organization Alex’s Lemonade Stand Foundation to advance their immunotherapy-based treatment approaches for childhood cancer from the bench to bedside. Decker, assistant professor of immunology at Baylor, and Rooney, professor in the Center for Cell and Therapy at Baylor, Texas Children’s Hospital and Houston Methodist, are two of a dozen researchers from all over the country that will earn the foundation’s new Reach Awards, which are designed to overcome barriers that impede the translation of innovative pediatric oncology research ideas from the lab to the clinic. The Reach Awards provide $250,000 over two years. Decker’s research focuses on the development of a new immunotherapeutic treatment approach for a type of brain cancer called Atypical Teratoid/Rhabdoid Tumor. Patients with this aggressive tumor have a poor survival rate, and current treatments can lead to significant neurocognitive side effects. Decker considers there is “a clear medical need” for the development of more effective and less toxic treatments for this type of cancer and other pediatric brain tumors. “Treatments should be able to both effectively fight cancer while sparing neurocognitive function,” he said. His team proposes using an immunotherapy approach that they have shown to be safe and potentially effective in brain cancer lab models. The treatment uses the patient’s own blood cells and own tumor cells to generate a powerful vaccine that can attack the tumor while sparing normal tissue. Funding this project, Decker said, will enable his research group to generate the necessary data to allow a clinical trial to proceed. Rooney’s research also involves an immunotherapy-based approach. 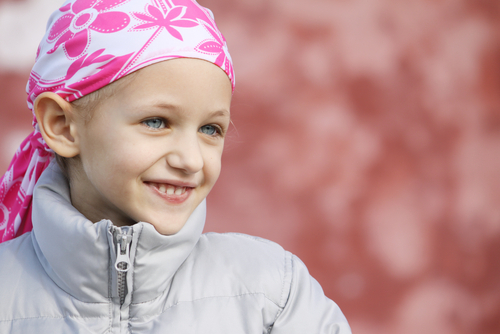 The goal is to develop potent immune-based therapies for high-risk neuroblastoma, a form of cancer that begins in childhood. Special immune system T-cells that have been modified to home in on a protein found on neuroblastoma cells can potentially eliminate tumors without causing toxic side effects or long lasting disability. These modified T-cells have successfully eliminated small tumors, but the challenge remains, as eradication of large tumors or tumors that have spread throughout the body still hasn’t been sorted out. To overcome the limitations associated with current immunotherapy-based approaches, Rooney, also a professor of pediatric hematology/oncology at Baylor and Texas Children’s Cancer Center, has developed a new approach in which she modifies T-cells with a form of vaccinia virus that attacks tumors such as neuroblastoma. The vaccine strain of vaccinia virus can be used both to kill tumor cells and to boost the function and numbers of the gene-modified vaccinia-specific T-cells. This cutting edge strategy should facilitate the treatment of bulky tumors and prolong the duration of T-cell activity after administration. The Alex’s Lemonade Stand Reach Award will allow Rooney and her colleagues to conduct studies in murine models of neuroblastoma to prepare for a trial in children with relapsed, high-risk neuroblastoma. “We know firsthand how important these research trials are to bettering the lives of childhood cancer patients, and we are dedicated to bringing promising research from the lab to the clinic,” said Jay Scott, co-executive director of Alex’s Lemonade Stand Foundation, which was founded after his daughter, Alex, herself a cancer patient, who held a lemonade stand to raise money for a cure for cancer.